Giveaway has ended, but there are more Giveaways to enter. Winners posted here. Do you want to win a $50 Walmart gift card? Two lucky Freebies 4 Mom readers will win this gift card thanks to Clear Men Scalp Therapy. Go enter the All-American Signing-Day Sweepstakes for a chance to win a Gentleman’s Kit ($950 value) which includes a mini tablet, $300 event ticket gift card, wrist watch, $50 music gift card, CLEAR Men Scalp Therapy™ products, and a $50 haircut gift card. Fill out this mobile-friendly form to enter this giveaway. I’ll ask who will you give the Gentleman’s Kit Prize to if you win? You can only enter once per person. 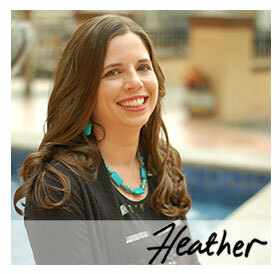 If you have any problems entering, please email Heather. Want to win 1 of 5 Gentleman’s Kit Prizes? It’s super easy to enter the All-American Signing Day Sweepstakes by clicking on the red “Get started” button. Then answer some five fun questions for the gentleman in your life – hey, why not ask them out loud just for fun? After you answer those questions you’ll unlock the red “Enter Sweepstakes” button to click on. Type in your name, email address, date of birth and agree to the Official Rules before clicking the gray “Submit” button. Come back tomorrow to enter again for an even better chance of winning that $950 Gentleman’s Kit prize! The awesome part of this sweepstakes is that they aren’t just awarding 1 grand prize, but 5 grand prizes. You can enter daily thru Friday, December 7, 2013. Good luck! Look for CLEAR Men Scalp Therapy products at Walmart for an everyday low price of $4.98. Do you want to win a $50 Walmart gift card? Only two people will win, but you have to enter before this giveaway closes on Friday, Dec. 7 at 4:00 pm CT to have a chance to win it. Good luck and please complete the form to enter this giveaway. You are encouraged to post comments here, but comments will not be accepted as giveaway entries. Thanks for entering and come back after this giveaway closes on Friday, Dec. 7 to find out who won in my Winners post.